The Saiman 202 was de-veloped from an idea ofEngineer Bottini in 1937as a light touring plane.The prototype first flew in1938. piloted by the fa-mous Italian air force officer Mario Bernardi. 290 of these air- craft were built for delivery to flying schools, and later for use as a liaison aircraft during World War I]. During the war the Saiman 202 also flew postal services between Italy and North Africa. 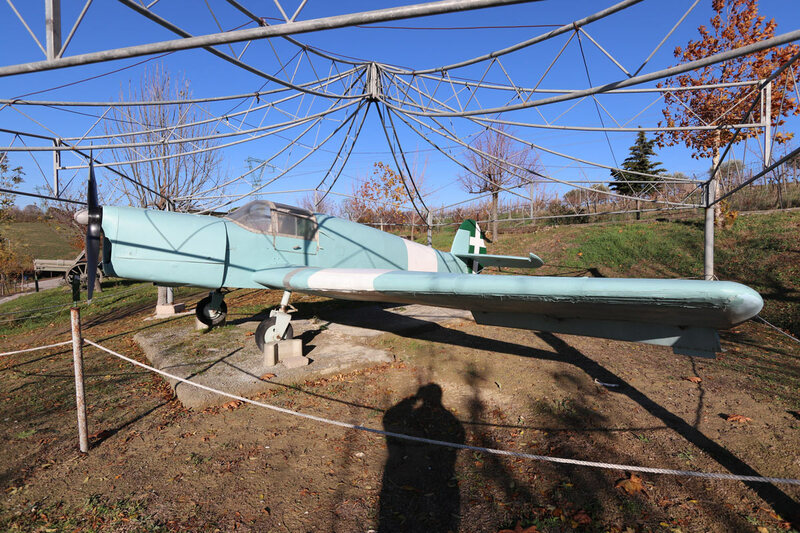 The Saiman 202 was used by the Italian Air Force until the mid-1950’s, and later by private flying clubs. 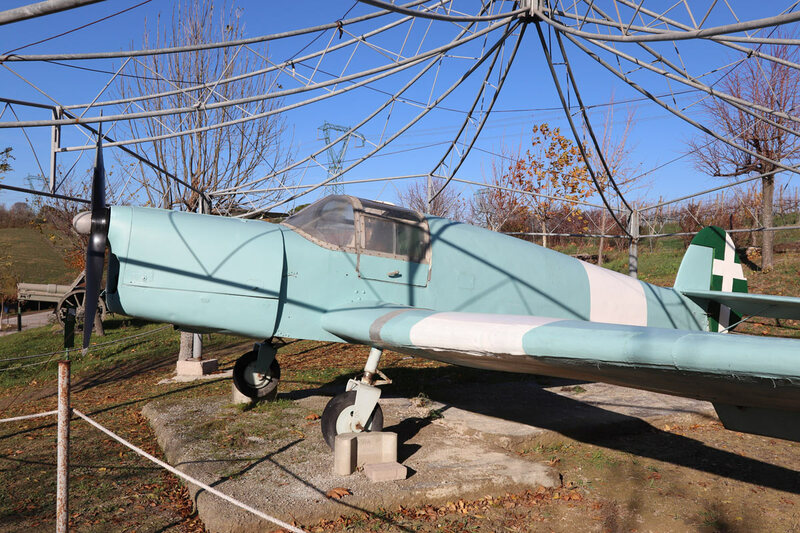 The model on display, even though not actually in operation in this period, is a tribute to all the aviators of World War II, and is seen with the insignia and identification numbers of the Italian Air Force, and more precisely with the markings of 41st Flight of fighter-interceptors, The operative life of the Saiman 202 displayed here concluded at the flying club of Miramare-Rimini, with the civil identification number I-FAL.